These are the changes approved by the NFHS boy’s lacrosse rules committee for the 2018 season. The 2018 US Lacrosse Youth Rulebook is now available for download to the public. The 2018 NFHS Boys Lacrosse Rules Book is now available on iTunes and Amazon. For any rules question, please contact the GLOA Rules Interpreter Jeremy Redmon at rules@galaxref.com. These are the highlights of the fifteen changes. You can read the complete initial 2018 NFHS rules change memo here. The updated memo is here. 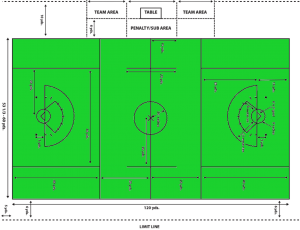 Rule 1-2 offers schools a third potential field layout; a unified boys and girls field that allows schools to line one set of shared boys and girls lacrosse field markings. This field option is 120 yards long and include additional space in front of the goal for the boys. In the past, this was a 20-yard space between the restraining line and the goal but is now a 25-yard space. Rule 1-7-5 allows crosse pockets of manufactured non-traditional synthetic material. Rule 1-9-1 g (8) Beginning in 2022, the home team will be required to wear white, rather than light colored, jerseys, and the away team will be required to wear non-white jerseys. Rules 4-3-3 d states that during faceoffs the reverse surfaces of crosses must match evenly so that the top of one head lines up with the throat of the other and they are perpendicular to the ground. GLOA trainers began to introduce this mechanic last spring. The expression “tip to stop” provides a good visual. Rule 4-3-3 n now specifically states the circumference of the shaft shall not exceed 3.5 inches, and a contrasting color between the head and the top glove must be visible on the shaft during faceoffs with the original shaft color, paint, a single wrap of tape, or other material. 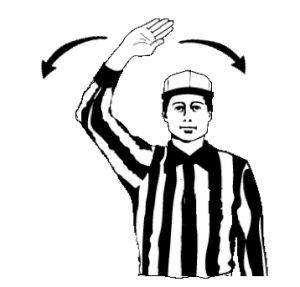 Rule 4-18-4 A second violation by a player (not designated goalkeeper) entering the crease to act as the goalkeeper will be enforced as releasable unsportsmanlike conduct, and served by the offending player. Rule 4-9-2 o states a goal will be allowed if a shot is released prior to the end of a period. This is an adoption of the NCAA rule. Rule 6-10-2 The stall warning remains in effect until a goal is scored, a shot that hits the goal pipes, shot that hits the goalie or hits his equipment, the defensive team gains possession of the ball or the period ends resulting in a faceoff. After the team has been warned, stalling shall be called if the ball leaves the goal area in any manner other then as a result of a shot on goal or a touch by the defensive team. Rule 7-3 When a penalty occurs and the ball is in the offended team’s offensive half of the field, the ball shall be put in play by the team awarded the ball, at the spot where the ball was when play was suspended. If the ball was in the goal area when play was suspended, it shall be restarted nearest to the spot of the ball at the time of the whistle, 20 yards laterally outside the goal area. 7-8-2 A FDSW will continue if a team brigs the ball out of the box. 7-8-2 k A second defensive foul is committed during the final two minutes of regulation play with the team that is ahead possessing the ball unless a scoring play is imminent. New Signals: Stall warning off (fair catch signal from football) signal 40.